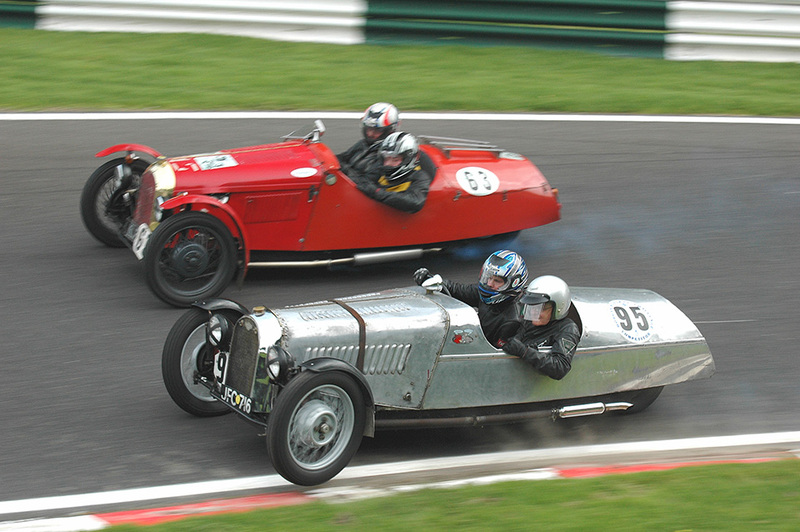 This great image shows two classic Morgan 3-Wheelers going neck-and-neck through a corner. It looks to me like the guy on the inside has his up on two wheels — which for a Morgan means he’s still got 2/3 of his wheels on the ground; so he should be good. This image was captured by Flickr user Andy Carter, apparently during the Shuttleworth and Nuffield Trophies Race Meeting in Yorkshire, England.